The ILMAE meeting has now broken up. It’s been a difficult time for me as I have to write the UK handbook – which would have been easier (to write and understand) if I had been involved all the way through. However, I’ve still had time to spend a lot of time in Vienna, which is turning out to be a beautiful city. I’d expected something as ‘in your cultural face’ as Paris or Berlin, but I don’t think that it is quite that – it has a hidden charm. We’ve been lucky to be shown around by the Austrian partners, especially Michaela who helped us to orient ourselves in the city on Friday evening. We’d been to the Vienna boys choir concert on Thursday and nothing was planned for Friday, so off we went, accompanied by warm sunshine. 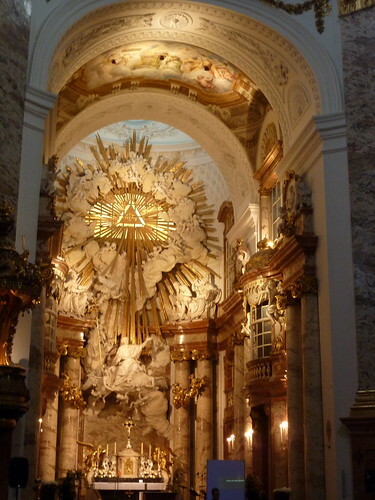 Friday evening was a one-off, it was Austria’s ‘long night of the churches’ and for one night various activities were taking place in all of the specially opened up churches. We visited Karlskirche, which is right outside the -U-Bahn station we used for our city visits. We then toured the various big-name buildings to view later and eventually stopped in a back street pub that served cheap but excellent food. I had Goulasch and a beer! Then we had ice-cream. On Saturday we had to finish off the meeting before we had more free time to visit the city. This time Sharon and I went alone. We started in the Volksgarten, where we’d been told we could get a good coffee and watch the world go by. Well, the garden was pleasant, with very much in-bloom rose gardens and the like, but the coffee shops looked dingy so we continued through the Hofburg and into Michaelerplatz, where there was a concert. As the weather was very pleasant and we’d managed to get some drinks, we sat down to listen for a while. The whole atmosphere was special. We’ve been lucky enough to come on a festival weekend, so there was music being played everywhere, and lots of street entertainment. The bright, warm sunshine was also a pleasure. We’d agreed to meet our colleagues (except the Czechs, who did their own thing) at Secession before taking advantage of a walk through the Naschmarkt to our planned restaurant. Unusually, the market was open in the evening as part of the festival. Music was planned and playing and the stallholders were still there sharing their wares. This was such a good market that we plan on going again tomorrow – Monday – rain or shine. Last night’s meal, the walk through Naschtmarkt, today’s rain and visit inside Schonbrunn, and our last day will be written later. Most of our ILMAE colleagues had arrived by the time we met for breakfast on Thursday, our first full day. However, not all had arrived by the time we were met for dinner on Wednesday, so just Sharon and I accompanied Andrea, our host, to the local heurigan restaurant. We were joined much later by Christophe who had driven straight to us from Ansbach in Germany. Typically, a heurigan restaurant is only licensed to serve it’s own produce. [See quote – “Heurigans, by law are only open a few weeks each year and the vintners are allowed to sell a percentage of their wine tax free! In addition, the kitchen prepares all the traditional favourites.“] So we sampled local and not quite as local, wines and food. Apparently, (we were told by Andrea that..) heurigans in and around Vienna itself are not quite as pure as the tradition demands. See http://en.wikipedia.org/wiki/Heuriger. I had dumplings stuffed with minced meat, and a Muskateller wine from Styria both of which were delicious. Following our first meeting on Thursday morning, we were taken to Schönbrunn Palace Park. 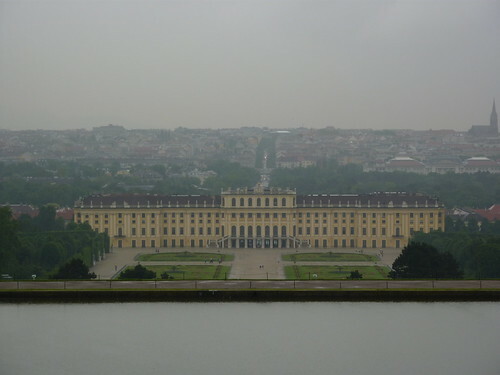 http://www.schoenbrunn.at/en/. Despite the often torrential rain, this was an excellent visit. We had a guide who showed us around the park (not the Schloss itself) and told us something of its history. As I write this in the hotel foyer, having escaped form the mostly procedural meeting upstairs, to continue with my own work, Sharon has returned to the park to see it again in the sunshine. After the park visit, we caught the U-Bahn into a part of Vienna where the Vienna Boys Choir [Wiener Sängerknaben] were to perform a free concert in support of a local community project. This is apparently a quite unique event and one I certainly won’t forget. 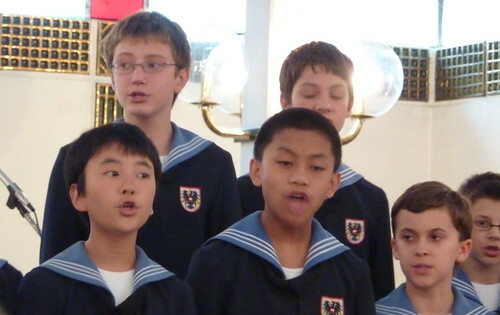 Apparently there are four choirs – each one being billed as THE Vienna Boys Choir – so although the illusion is that they never stop working, there are plenty of boys to go around. This particular charity event was held in the church of a run down, multi-cultural area of Vienna and featured two other local school choirs. Both were sweet, as school choirs are but the difference in class was easily shown because the final school choir used discordant recorders and flute during their performance which was immediately followed by the crystal clear ‘boys’ voices. Lovely. We then had another heuriger meal (not as good this time) and came home. I’m sat in the departure lounge at Manchester composing this post by tapping away on my WordPress iPhone App. Hopefully it will work . . . Both Sharon and I are en route to Vienna. We’re (me mainly) attending the final project meeting of the ILMAE project. 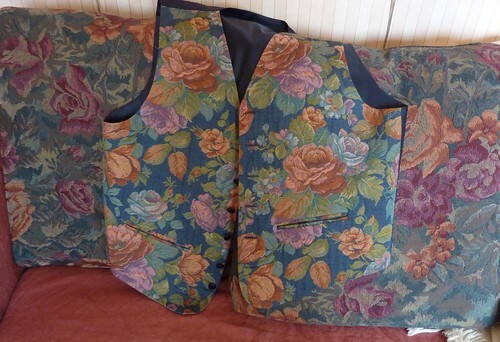 I was employed by TLC of Wetherby to work with them in this. We’re hoping to find the time to do some city exploration too – so look out Flickr. Well, we’re here now. We had a pretty uneventful journey, planes on time, reasonable seats and short trips – in fact the taxi from the airport in Vienna to the hotel took almost as long as the flight from Manchester to Dusseldorf. 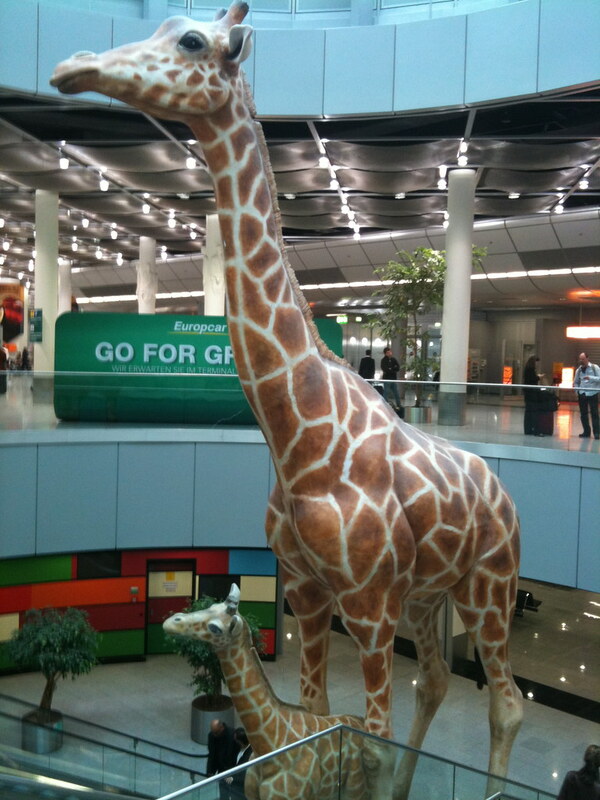 Flight one fed us half a ham and cream cheese sandwich (with tomato juice and coffee) and flight two fed us with some cake (and more tomato juice) – in between, after viewing the Giraffes, we had a coffee (Sharon had tea) in a cafe. As I’ve said on many occasions – coffee abroad, almost anywhere abroad, is better than anywhere in the UK. 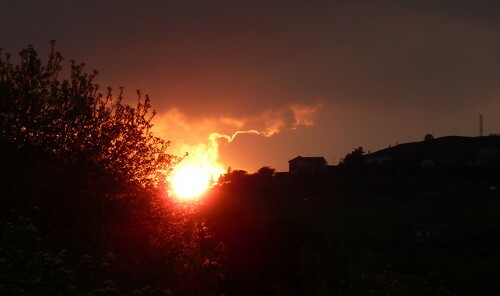 We’re meeting everyone we worked with in April [see https://eduvel.wordpress.com/2010/04/18/wetherby-2/] at 7.30 in the hotel reception and then from tomorrow (Thursday) we have a full programme of work and visits. Hopefully Sharon and I will have figured out public transport by Sunday and Monday when we have our own free time. Basmati Rice - not the brand discussed. I’m sat inside the house right now because it’s so hot outside (this is not a complaint). My feet are surrounded by a carpet of dandelion seeds which have blown in from outside as the all of the doors and windows are open. From time to time the seed-heads are like a fog – where do they all come from? This weekend we’re having the sort of weather we often dream of and because of this we’re encouraged to eat outside. Barbecues are the order of the day. But, to be honest – it seems a real hassle to take all the summer chairs and tables out of the hut they live in, just to get the gas barbecue out for just the two of us. We’re both going to Vienna later this week, so we can’t just leave them outside. I therefore thought we could have a tandoori chicken meal last night – which in the end, was a disaster! I’d marinaded the chicken and decided to cook it on the pizza stone Gail bought us earlier in the year. She’d thought we were deprived because we didn’t have such a thing and to be fair, I now realise we were deprived, because we’ve since had some wonderfully crisp pizzas from it. However – take a tip from me, don’t try using it as a tandoor. Nuff said. I’d decided we could have some of the basmati rice we’d bought on special offer at Tescos. I bought a huge bag when they had it on offer a few weeks ago but I should have known better – it was tasteless. 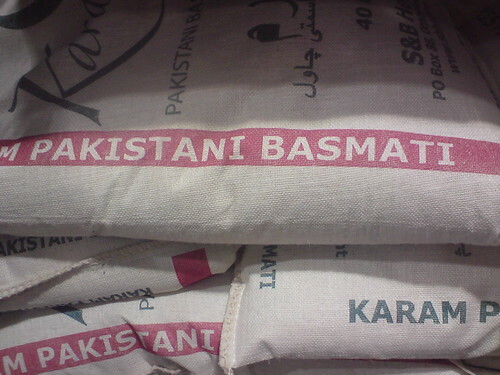 I mean, basmati should be delicately flavoured and as such should be cooked carefully too. It’s not that I don’t know how to cook rice. It was just the very worst quality, packaged to look like the real thing. I should know better because I decided a long time ago that there are no real bargains at Tesco, or to be fair, any of the large supermarkets. To be a bargain something should be of the same quality you would normally expect and either be cheaper or in larger volume. This was both of the latter but certainly not the former. We’ve been caught out a couple of times with wine too. For many years my favourite red wine was Rosemount Shiraz – usually about £8.99. I’ve been tempted by the special offers (@£5-6) a few times but it has never tasted as good. A wine friend of mine (inasmuch as he’s someone who has made his living selling the stuff) does keep telling me that supermarkets do not get the best wines to put on their shelves. I’ve certainly not bought any ‘bargains’ recently. I did laugh out loud (lol – lol) and then thought – why? It’s not just that this person is being rude – it’s more that he/she has taken the trouble to go out of his/her way to be rude? YouTube seems to attract rude people. He/she is not the only rude person I’ve encountered on YouTube. First of all, let me state that I too can be rude, mainly through ignorance on my part and if I ever find out my rudeness has offended someone I am mortified. I do try not to be rude and to be courteous at all times. I can often be sarcastic, but usually as a reaction to something and I never use sarcasm as a preemptive strike. That said, my voice and pronunciation seems to have caused some people to shake their fists at the screen and to write rude comments on my posts – usually they are American and usually their rudeness has illustrated the poor job we did with educating and elucidating our colonial cousins (not a preemptive strike – read on). The following video has had over 58,000 hits. However, some comments can also be creative and although the one below takes the rip – it is creatively done and I really did lol. I later met the author and congratulated him. Very funny. Historically, I spoke slowly because I was a) explaining something to someone – 16 year old students maybe? and b) I was unused to taking ‘to myself’ in the way that modern media now allows (and expects?). Geographically, I speak slowly because of my Yorkshire accent – too fast and you won’t understand a word 🙂 Actually – I don’t give a damn – but there’s no need to be rude. I drove over to Burnley on Wednesday to attend a MoLeNET training event that was designed to show us what an iPhone could do in the teaching and learning environment. I sort of feel OK with the iPhone now and what it can do – despite much earlier reservations [see below], but I don’t think that you can ever know everything – which the day proved. Elaine Coates and Mick Mullane were the presenters and they started with a very simple overview of how the various bits worked – that sounds simple but even regular iPhone users miss some of the functions – as might be seen on this address I shared with Mick (for the day’s blog). We moved on to the inbuilt features such a clock, alarm, calendar etc but then Mick took over to introduce his favourite features; maps and compass. 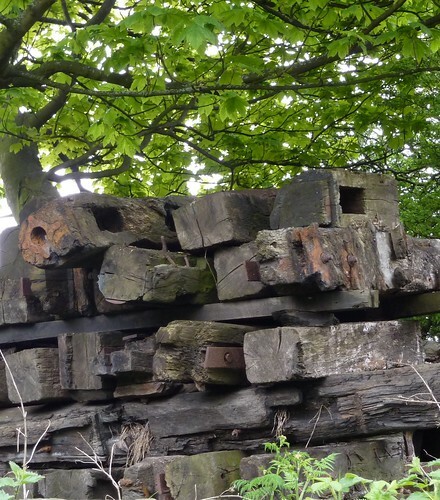 We spend quite some time investigating those features and at lunchtime we set off in search of a near-by GeoCache. Because of the biting cold (is it really May?) I didn’t stay outside for the ‘find’ but I did make a find of my own – 2p -!! Layar http://site.layar.com/company/blog/layar-is-back-on-iphone/ Which is a great way of seeing what’s around you when you’re out and about. A stab at AR. With local points of interest, near-by Tweeters and maps – it could be a fun way of meeting new friends, finding new places or simply being a geek. GeoCaching http://www.geocaching.com/iphone/ The ‘lite’ version of which we used at lunchtime. This (and Layar) is something I could see being used with students on location and awareness projects. I may even have a go at a bit of GeoCaching now. SpeakIt http://appshopper.com/utilities/say-it (£1.19) is a great way of vocalising text on the iPhone. Cut and Paste (or type) text into the window and it will read it back to you in one of several voices. Resulting file can be emailed! TuneIn Radio http://www.tunein-radio.com/index.html (£1.19) Radio The iPhone doesn’t have a built-in radio and chasing a channel via Safari isn’t the best or mist convenient way to listen. When you get fed up of your MP3s – TuneIn. Tube Exits http://www.tubeexits.co.uk/ (59p) If you’re travelling in London, Tube Exits is a must. It helps you to plan a route from A > B > C etc. but then tells you where to stand to get on a tube train to more easily find the exit at your destination. Just knowing which side the door opens is a great boon to me. Quick News http://itunes.apple.com/gb/app/quick-news-uk-free/id316696944?mt=8 (Free) is a great way of keeping up to date with snippets of news. You can choose from a huge variety of sources such as the BBC; digg; The Guardian; The Mirror; The Times and Metro (many more) – so you are not tied to just one opinion. The most enjoyable bit of the day, as always, was meeting old friends and colleagues such as Mick and Elaine, John Whalley (another MoLeNET Mentor), Geoff Foot, Jo Crumblehome, Ronan O’Bierne – as well as those I’ve just met this year: Jason from the Sheffield Academy and Adam from the Ashton under Lyme Academy. Thanks to everyone for making this such a great day. One of the advantages, if there is such a thing, to having less work on than usual (and less than I’d like) is that I can actually plan and undertake my own continual professional development (CPD). Given the current governmental hiatus [Saturday May 8th], I suspect I will become proficient at lots of things before opportunities for future work reveal themselves. I made my mind up to concentrate (I really find this hard because it is not my ‘style’) on three things: assembling and where necessary creating evidence for my ITQ in Accessible Practice, to learn a bit more about the coaching process and to finally download and install my own Moodle. On my own server. All completely different but challenging in many, differing, ways. I am a JISC TechDis Accredited Trainer. I have an affinity for learners who find it difficult to learn – no matter why; and this has led to me being recognised as one who can help teachers and learner support staff to understand how and which technologies can help the majority of their learners. I would say all their learners – but sometimes that’s just difficult to prove. It therefore follows that undertaking the ITQ myself, before it is launched ‘big time’ in September can only be of benefit to me – and by extension those I work with in the future. Lilian is undertaking this too and we have agreed to work together where we can. Yesterday was the second time we’d attempted this. The first time, I went to her house and we discussed ways forward. Yesterday we worked via Skype. Moodle is new to me. I’m a competent course creator and have worked on many installations owned and hosted by others, but have never downloaded an installation of my own. Well I have now. I went to Siteground and bought three years hosting. At this stage, I was able to be talked through the download process by a sales assistant – via a chat facility. Everything else I’ve had to do myself, which has been hugely rewarding. There is a lot ‘assumed’ by these hosting sites and they are not the most user friendly places. Anyway, it was soon up and running (I had to move the DNS[?] from 1and1 who host my Village e-Learning web site and despite being warned that it might take 48 hours, it took less than 4). http://www.eduvel.org.uk. I’m not ready for giving guest access yet – but will over time. My next challenge was to search the Moodle.com web site for modules/blocks and to install them on my site. I searched Siteground for advice, but they were no help and was missing something vital from my research on the Moodle page when Ron Mitchell rang about something else. I simply asked what the process was and he told me. Apart from not having a ‘Moodle/Mod’ folder on the Siteground server (which itself took some searching to find a way in) I now have downloaded and installed the Book module and it looks like it’s working. I feel immensely proud of myself for this achievement; techie is something I’m not. Once I’ve got the Moodle up and running as I want it I can be a little more adventurous in my experimentation. I also spent quite some time on Friday chatting with James about VLE’s: more on this next time I suspect.